Click banner for more Whispering Hills tour stops! For as long as she can remember, seventeen-year-old Alexis Forbes can hear the thoughts of others. Most recently, she is disturbed by the dark, unfamiliar voice of a frightening killer: callous, cunning, charismatic…and dead. She hears his every sinister thought. But she can’t tell anyone. No one would believe her. Alexis is suddenly being haunted by a terrifying past she doesn’t remember, and a ghost with a serious score to settle. Even Chance, the gorgeous new guy she’s falling for, has his own ghostly secret. He’s definitely not like any guy she’s ever met. Alexis soon discovers she has a connection to the dead and it runs much deeper than she could ever imagine. And if the sociopathic entity has his way, she’ll finally be sentenced to the fate she escaped thirteen years ago. 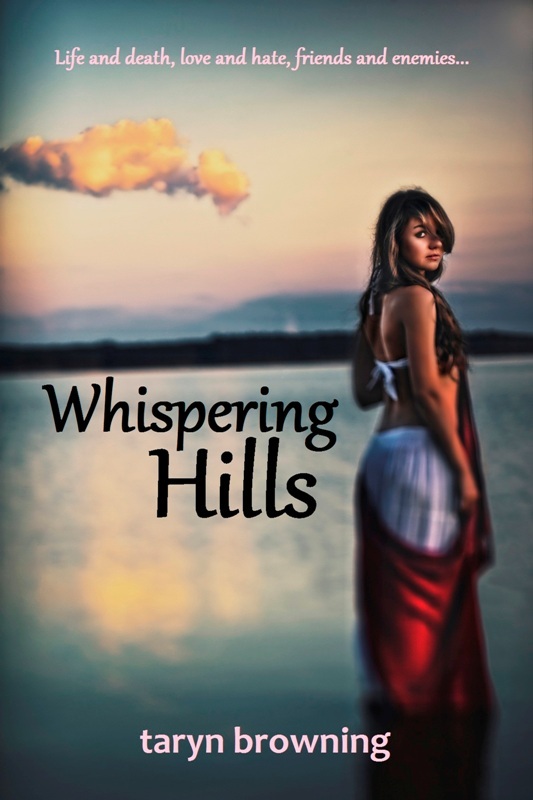 Whispering Hills is a mystery through and through. The supernatural elements I really loved. Mind-reading is one of my favorite powers to read about and Taryn Browning showed mind-reading at a different angle. Alexis can only hear others’ decisions when, usually, telepaths hear every thought and can delve into another's mind at will. I thought this was a great idea because it presented a challenge for Alexis when she went looking for clues and answers. There was just something about Alexis’ character that screamed curious and headstrong. That doesn’t sound like much, but I see those traits signifying that she’s the kind of character that always gets her way, no matter the consequences of her actions. She’s the type of character that doesn’t let issues rest and keeps pushing and pushing until the truth comes out. 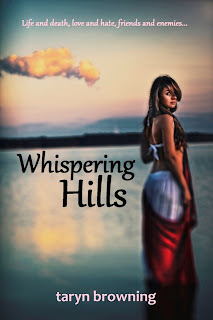 Whispering Hills ends with a promise. A promise that this adventure is not over and evil will find its way back into the small town. Not exactly a cliffhanger, but I feel it had the same effect. I had lingering feelings and thoughts about what could possibly happen next. Taryn Browning keeps readers on their toes in this thrilling mystery. This is the first work I’ve read from her, and it’s enough to make me check out her Dark Seeker Series. Alexis’ story is still with me and I recommend for anyone who loves suspense. Be sure to stop at SupaGurl Books on April 12, 2012 for the tour wrap up and SupaBig Giveaway! Click banner for more info on SupaGurl Tours! It sounds like a great book. I love books that feature weird abilities, so I will definitely have to check it out. Have you ever read some of Lois Duncan's work? It's pretty good and weird ... which I love! Thanks for the recommendation Courtney. I'm going to look Lois Duncan up the next time I hit the library! It looks like she has some good suspense novels.